John Ronald Reuel Tolkien, CBE was an English writer, poet, WWI veteran (a First Lieutenant in the Lancashire Fusiliers, British Army), philologist, and university professor, best known as the author of the high fantasy classic works The Hobbit and The Lord of the Rings . Tolkien was Rawlinson and Bosworth Professor of Anglo-Saxon at Oxford from 1925 to 1945, and Merton Professor of English language and literature from 1945 to 1959. He was a close friend of C.S. Lewis. Christopher Tolkien published a series of works based on his father's extensive notes and unpublished manuscripts, including The Silmarillion . These, together with The Hobbit and The Lord of the Rings, form a connected body of tales, poems, fictional histories, invented languages, and literary essays about an imagined world called Arda, and Middle-earth within it. Between 1951 and 1955, Tolkien applied the word "legendarium" to the larger part of these writings. 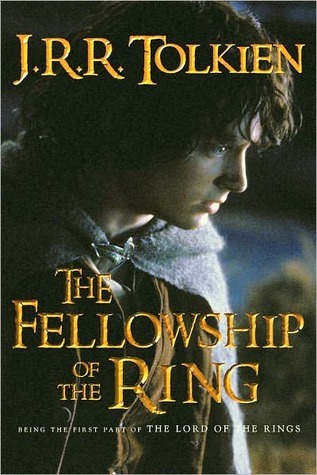 While many other authors had published works of fantasy before Tolkien, the great success of The Hobbit and The Lord of the Rings led directly to a popular resurgence of the genre. This has caused Tolkien to be popularly identified as the "father" of modern fantasy literatureor more precisely, high fantasy. Tolkien's writings have inspired many other works of fantasy and have had a lasting effect on the entire field. In 2008, The Times ranked him sixth on a list of "The 50 greatest British writers since 1945". Forbes ranked him the 5th top-earning dead celebrity in 2009. J.R.R. Tolkien, was born in South Africa in 1892, but his family moved to Britain when he was about 3 years old. When Tolkien was 8 years old, his mother converted to Catholicism, and he remained a Catholic throughout his life. In his last interview, two years before his death, he unhesitatingly testified, Im a devout Roman Catholic. Tolkien married his childhood sweetheart, Edith, and they had four children. He wrote them letters each year as if from Santa Claus, and a selection of these was published in 1976 as The Father Christmas Letters . One of Tolkiens sons became a Catholic priest. Tolkien was an advisor for the translation of the Jerusalem Bible .